The greatest DC Universe heroes from across time and space join forces to stop a being more powerful than any theyve ever faced! But with existence crumbling around them, this may be a fight that no one walks away from. 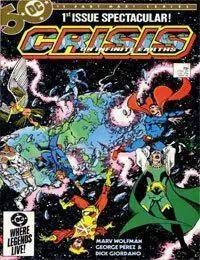 Dont miss the classic story that altered the DCU forever!